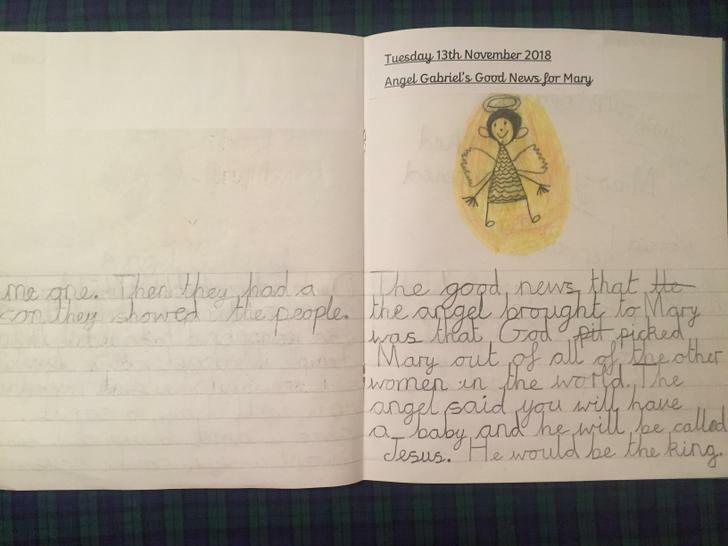 RE at Parbold Douglas Church of England Academy is rich, varied and inspiring, with the teaching of Christianity and the person of Jesus Christ at the heart. We are an inclusive community, placing high value on the need to learn about other religions and world views as well as the need to foster respect for all. Our strong RE curriculum is highly influential in the spiritual, moral, cultural, social and emotional development of pupils, making a significant contribution in preparing pupils for the opportunities, responsibilities and experiences of later life. 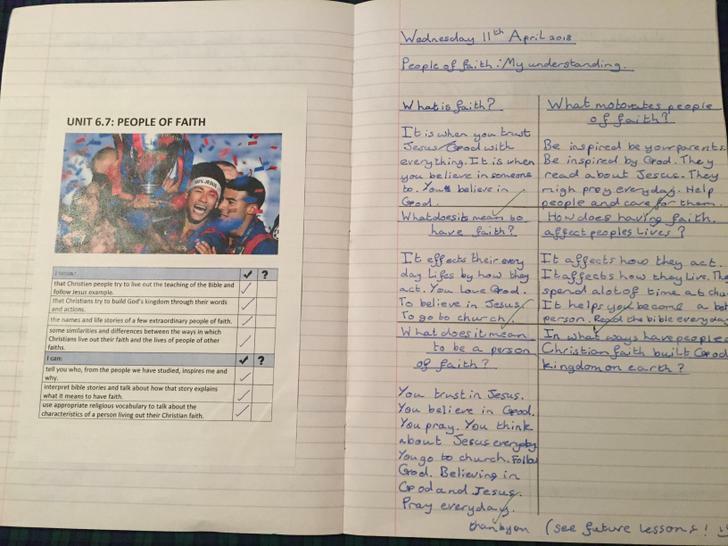 It strengthens our understanding of Christian values, empowering pupils make positive choices. 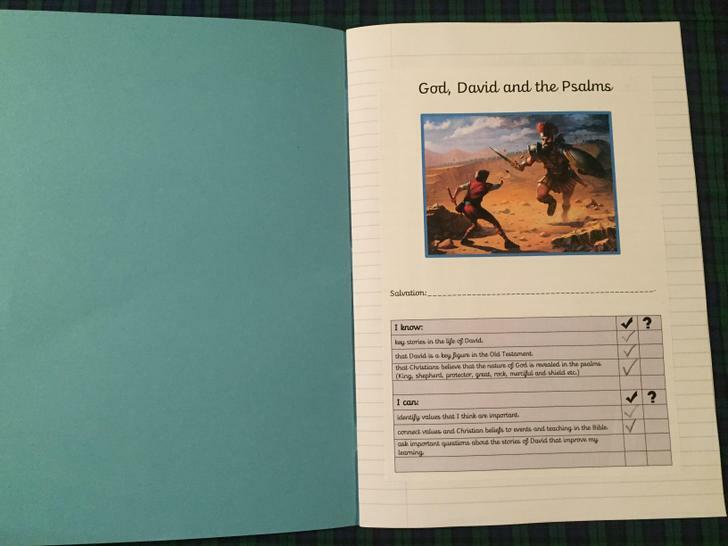 Teaching our core syllabus 'Questful RE’ (developed by Blackburn Diocesan Board of Education), we aim to equip our children with the skills and knowledge to hold their own, informed conversations about faith and religion. 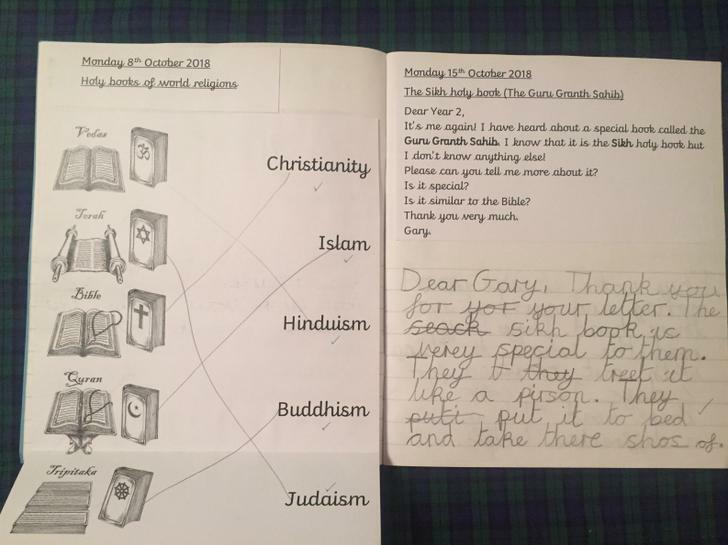 Through this syllabus, we ensure the opportunity to develop a wide range of higher level skills such as enquiry, analysis, interpretation, evaluation and reflection, thus deepening children’s understanding of the impact of religion on the world and enabling them to express personal views with consideration and confidence. 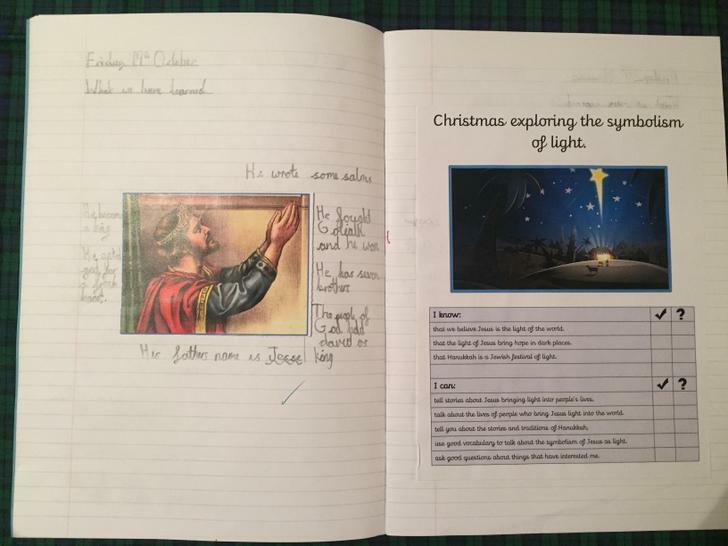 We supplement Questful RE with Understanding Christianity, a resource developed by the Church of England Education Office. 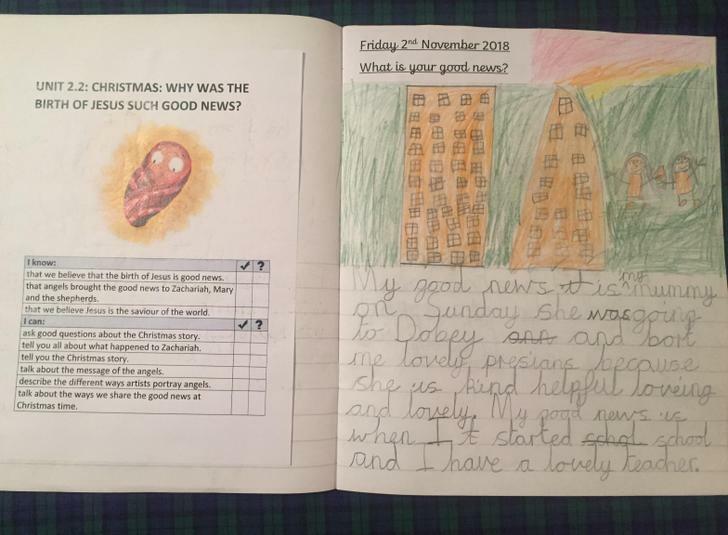 The key purpose of the Understanding Christianity project is to help all teachers support pupils in developing their own thinking and their understanding of Christianity, as a contribution to their understanding of the world and their own experience within it. 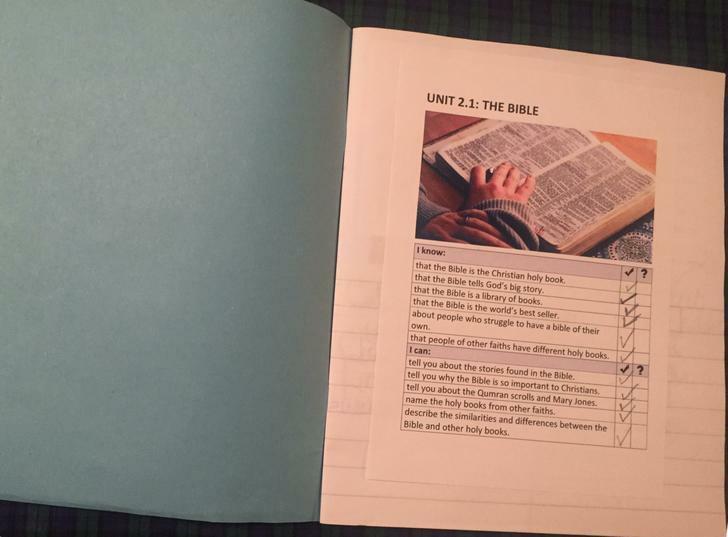 Units in Questful RE are paired with units from Understanding Christianity (see curriculum overviews below) to ensure our children receive a deep, rich RE education. 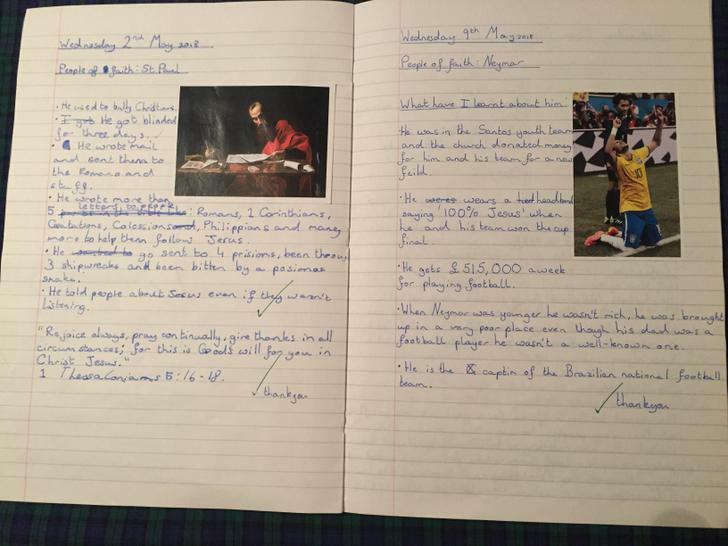 All classes have an RE lesson on a weekly which constitutes an hour of curriculum time. 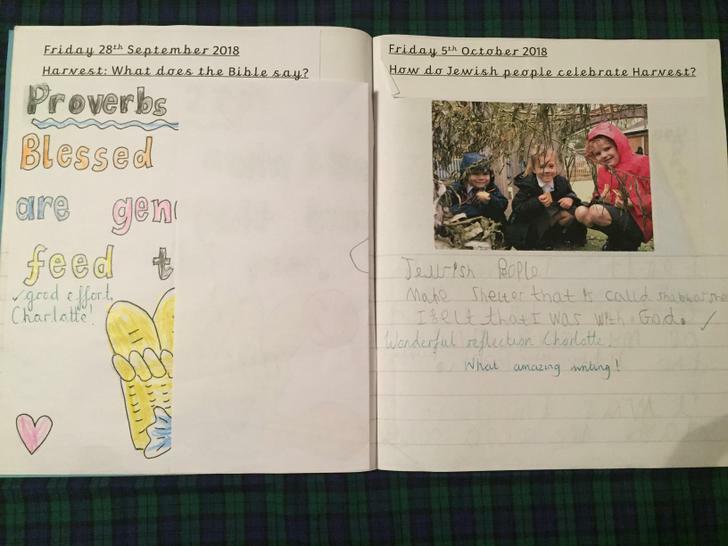 Wider opportunities for RE beyond the classroom include visits to church at least three times a year, visitors to school, themed days and visits to places of religious interest. 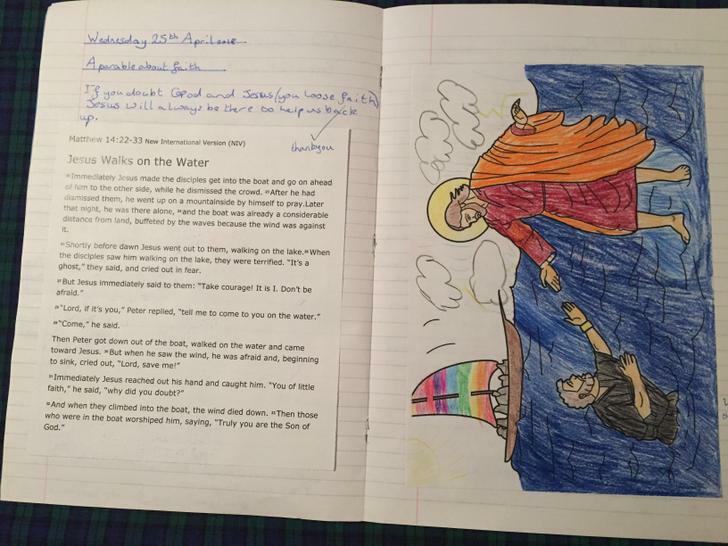 80% of RE curriculum time is dedicated to learning about Christianity and a minimum of 20% to other faiths, as recommended by the Diocese of Blackburn. 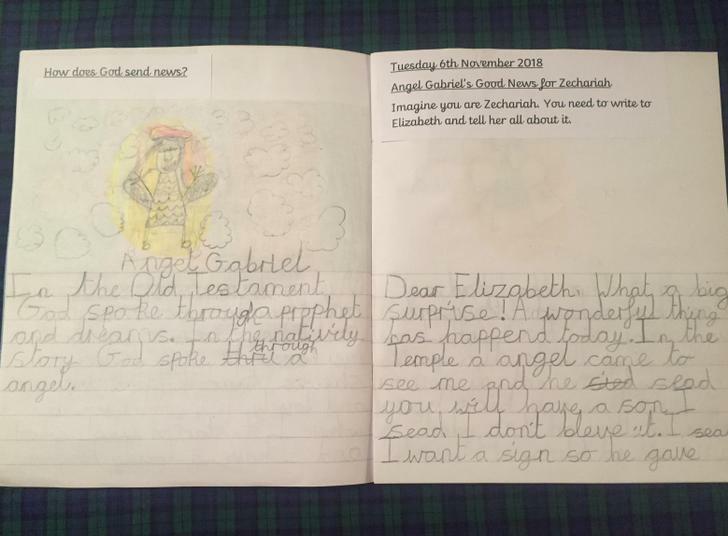 We believe it essential that children develop an understanding of, and respect for, all world religions and faiths, enabling them to develop a deeper understanding of the world and their own experience within it. Many units in Questful RE begin with an exploration of an aspect of Christianity before moving on to look at similar aspect of a different faith. 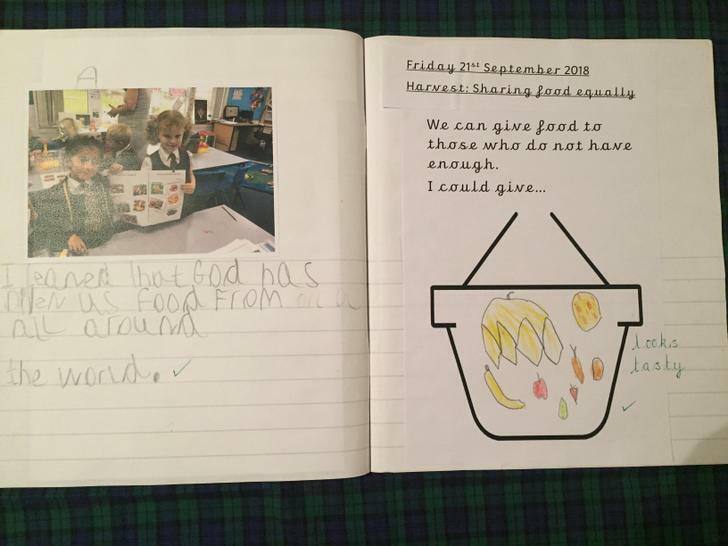 As an example, when children in Year 1 learn about the Christian festival of Harvest, they also explore the Jewish festival of Sukkot. We have also adapted some Questful RE units to consider the perspective of other worldviews. 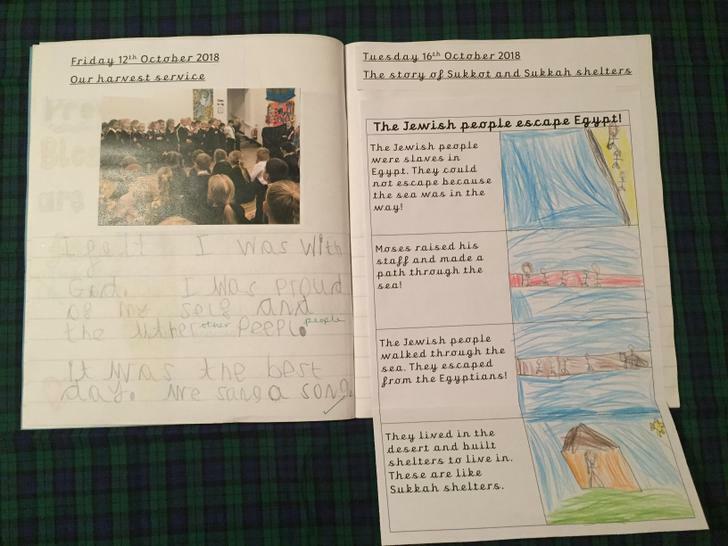 For example, in the Year 1 unit 'Why is Baptism special? ', children will also learn about special ways in which families of no faith might welcome a baby into the world. 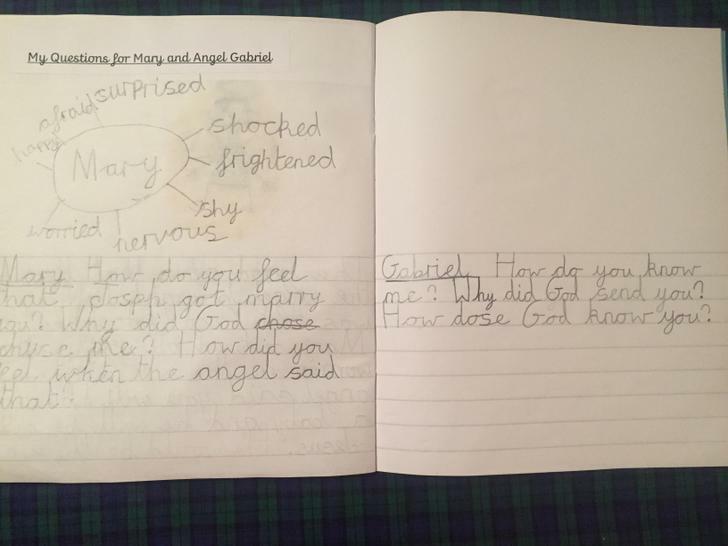 In the Year 5 unit 'Loss, death and Christian hope', we explore how humanists cope with loss and death. 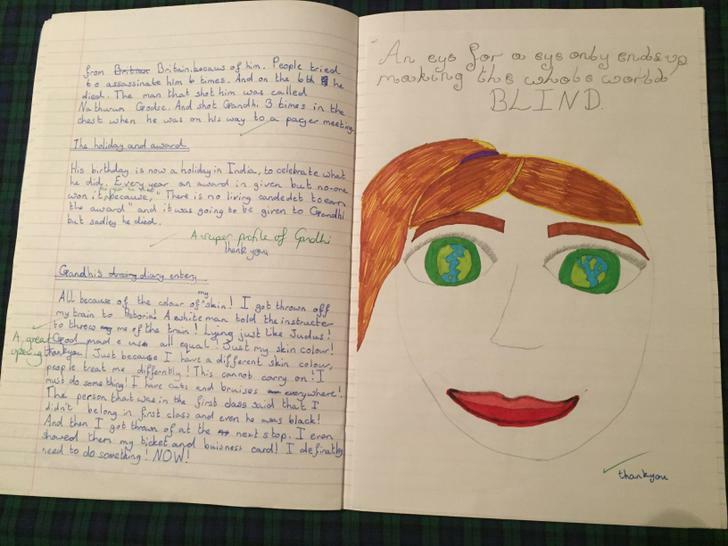 This ensures our pupils grow up to respect all worldviews and perspectives. In Reception, we follow the Blackburn Diocesan Board of Education Chatterbox units. These begin with the children opening a 'chatterbox' filled with objects and artefacts that prompt discussion, or 'chatter'. At the start of the unit, the children will open the chatterbox together and discover what is inside. They take turns looking at and handling the objects. The conversation and questions will generate ideas for the learning activities. 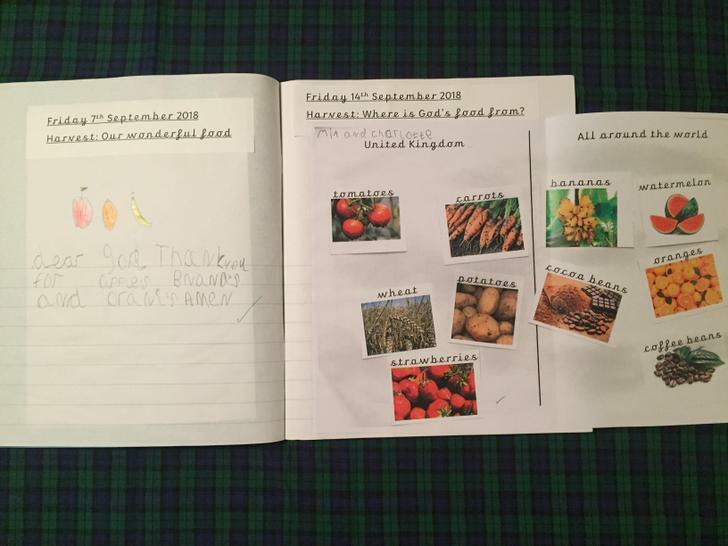 The children’s ideas, comments, questions, work, pictures, writing and photos are recorded by the teacher. 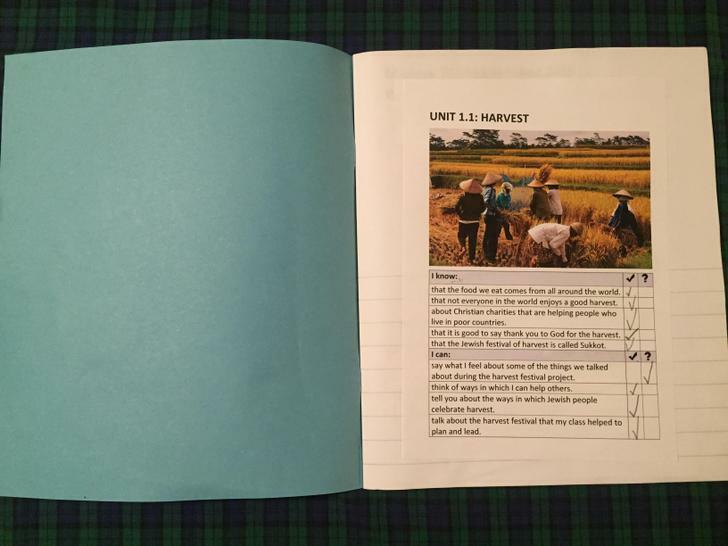 Throughout the unit, learning activities are recorded in the class worship book. Everyone contributes either directly onto the pages or by sticking in paper, objects, photos or post-its. This book is the record of the RE that has taken place and, alongside observation, forms the basis of assessment in the Early Years. The curriculum overview below shows all of the Chatterbox units covered in Reception. 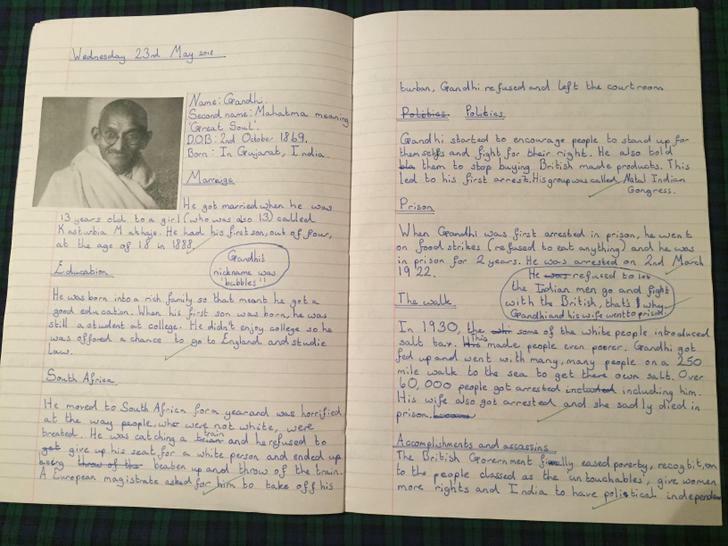 These documents outline the units taught within RE lessons in each year group. 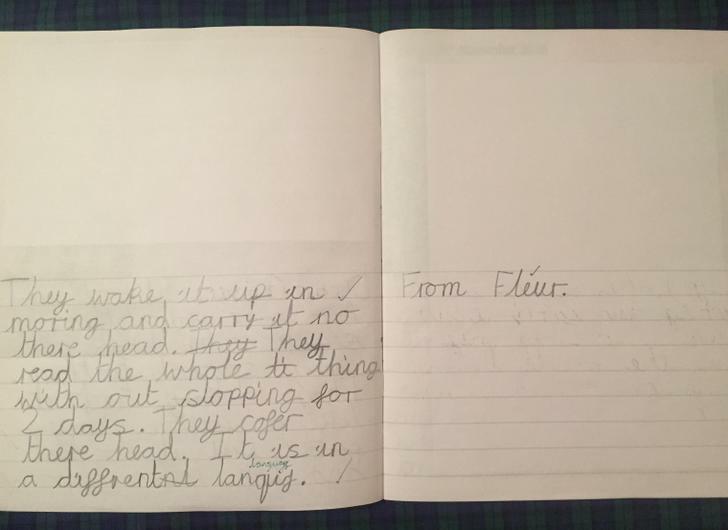 Learning for older children builds on the concepts discussed in the Early Years and Key Stage 1. 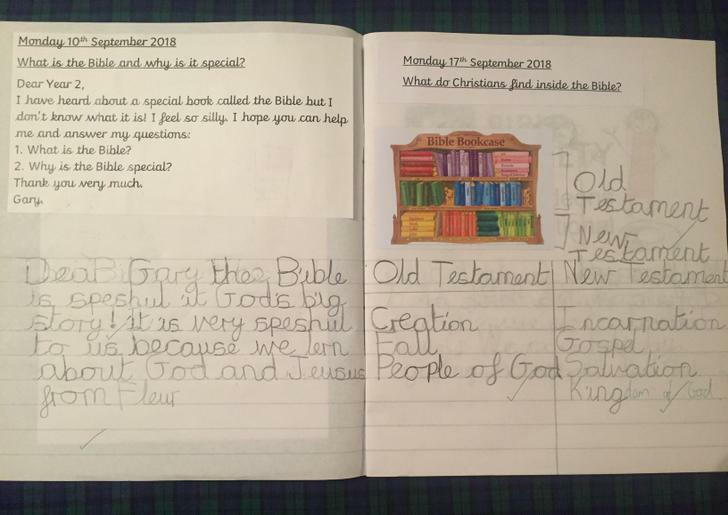 For example, the Year 5 unit 'How and why do Christians read the Bible?' 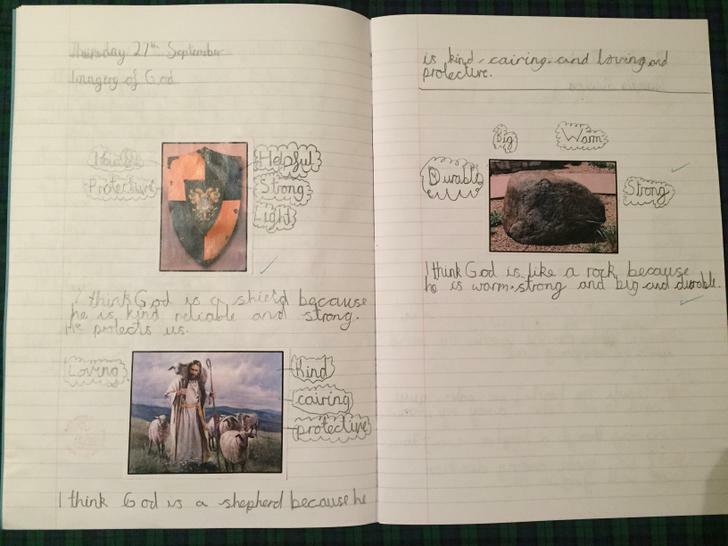 further develops the knowledge and understanding developed in the Year 2 unit 'The Bible'. To help us achieve this goal, we developed 'Good Works' (a scheme of work that combines RE teaching with the national curriculum for English). Learn more here. 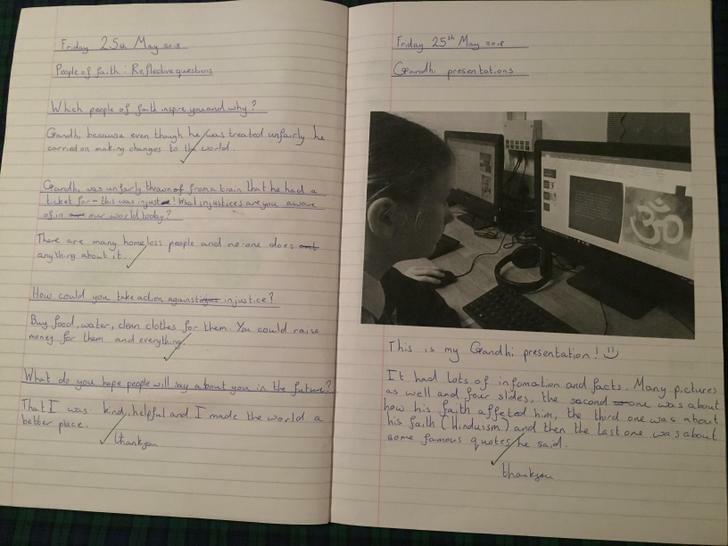 We assess pupil achievement in RE to ensure we are able to meet individual needs. The 'ladder of expectations' (see below) guides us in making assessment judgements. The ladder uses symbols to indicate levels of achievement. 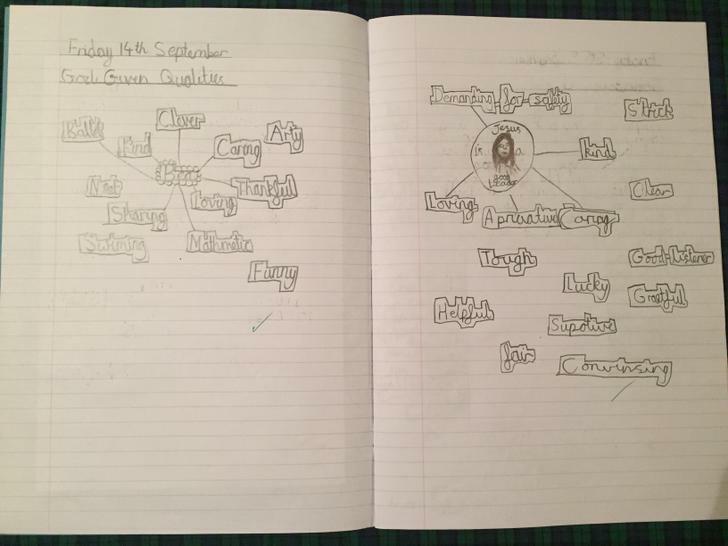 The ladder is intended primarily to contribute to planning excellent tasks at the right level appropriate for the pupils’ experience, knowledge and ability. However, the ladder can be used to make judgements about the level of individual pupils’ achievement. 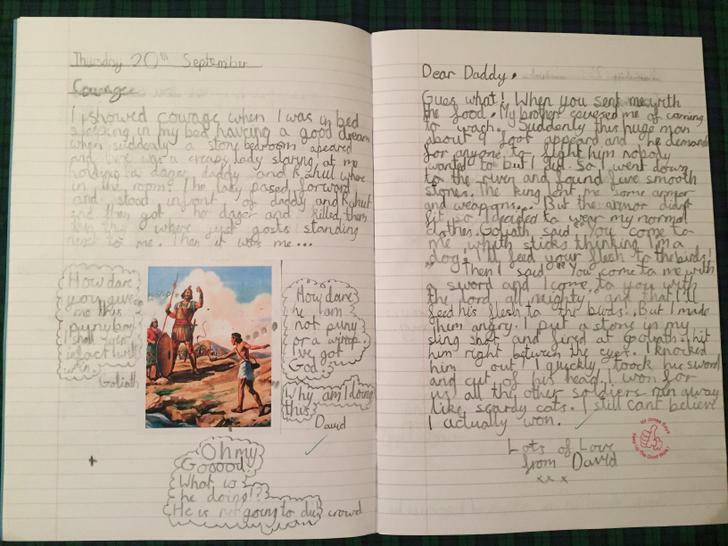 At the end of Key Stage 1 pupils are expected to be achieving at rung 2 of the ladder. At the end of Key Stage 2 pupils are expected to be achieving at rung 4 of the ladder. Therefore, teachers can set appropriate tasks and make judgements as to whether or not pupils in their class are working at, towards or exceeding expectations of achievement. Every half-term, at the end of units, teachers assess each pupil's overall achievement. The 'end of key stage expectations map' (see below) set out the knowledge and understanding that pupils should have at the end of the key stage. We recently hosted a coffee morning for parents and guardians in order to share our RE curriculum. 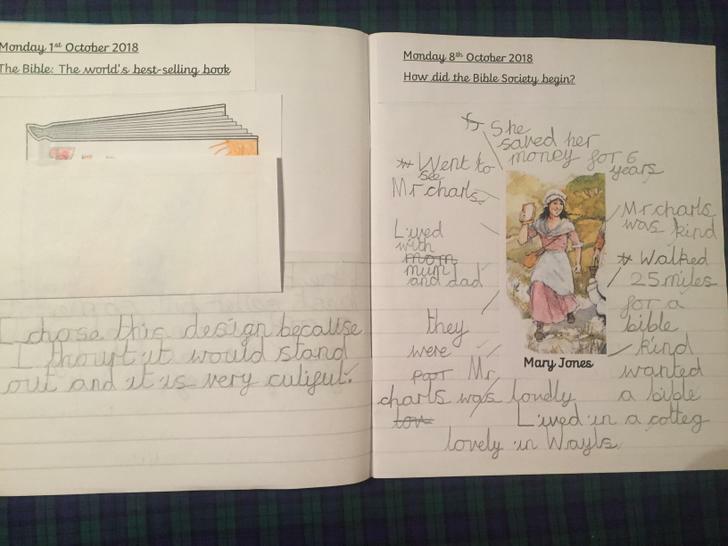 We are really proud of our RE curriculum and it was great to get such fantastic comments from parents - we shared individual pupil books, class worship books and delivered a short presentation. The presentation slides from the session can downloaded below. We'll be hosting a similar event in the Spring term on an evening for parents who were unable to attend last time. Discover more about our partners and the resources used within our RE curriculum by following the links below. 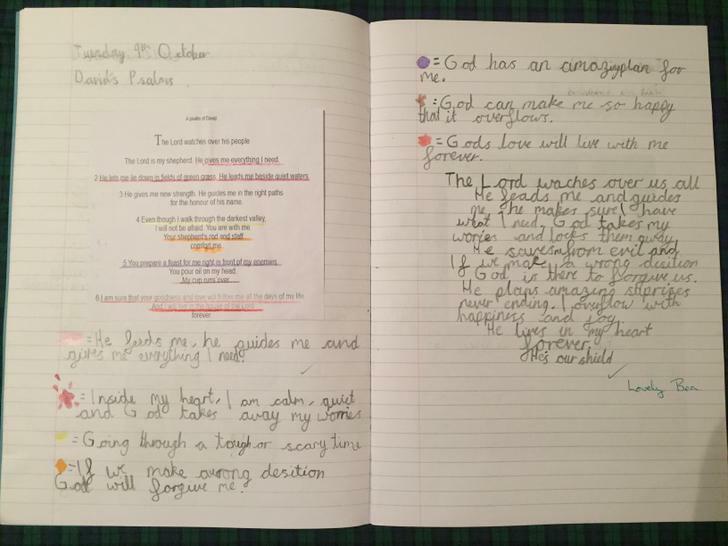 If you have any questions or comments about Religious Education at our school, please get in touch.